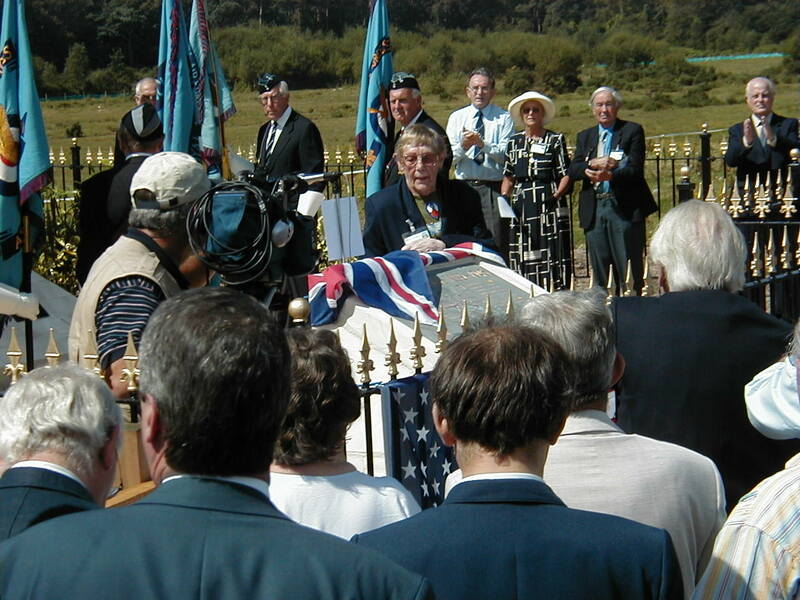 The Trustees have received the sad news that Betty Hockey, our former Trustee in 2002, who unveiled the stone map at the New Forest Airfields Memorial at Holmsley South, on the Memorial Dedication Day in 2002, passed away on Tuesday 31st January at the great age of 100. 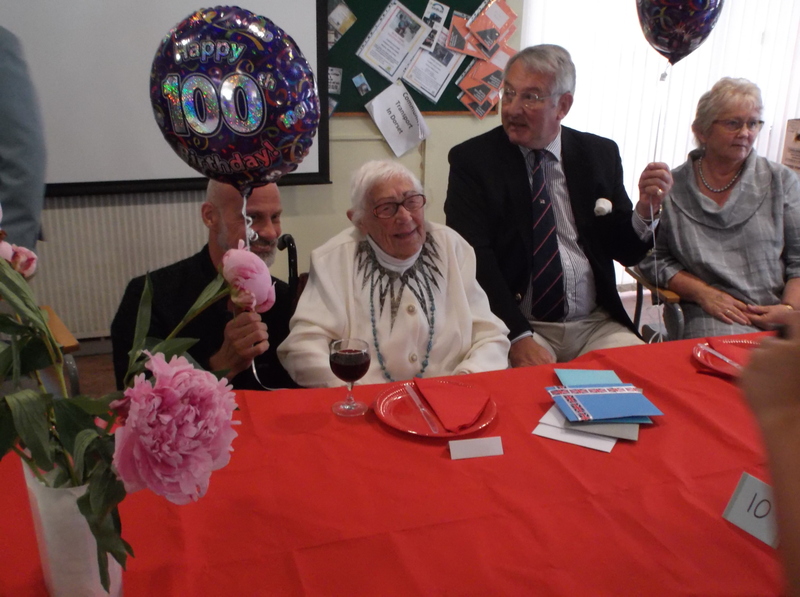 Her 100th birthday party last year was attended by many of her longstanding friends, as seen in the photograph below. Her funeral will be held at 1 pm on Wednesday 15th February at Bournemouth Crematorium . Her family have requested that those intending to be present wear bright colours and refrain from wearing black ties.